Home / Transfers / 2 Incoming Strikers! What Will Be Their Fate Under Wenger? 2 Incoming Strikers! What Will Be Their Fate Under Wenger? The need of the day for Arsenal FC are strikers, good quality attacking options upfront. Players who will support Olivier Giroud in scoring goals, if not replace him completely as the number one choice. 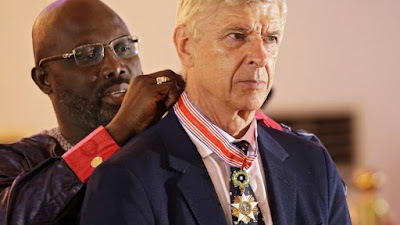 With Theo Walcott not performing at the level that he was expected to and Danny Welbeck out injured and sidelined due to his surgery, it is not that Arsene Wenger did not have the options to play up front. However, he persisted with the Frenchman, who was going through a goal drought and that impacted our title challenge for the Premier League, which eventually Leicester City won. When every Gooner looks back at the season that went by, after failing to sign a new striker, one question will always pop up about what Wenger could have done better. There are quite a few things that might be suggested, but one noticeable thing would be the fact that he could have recalled either Chuba Akpom or Yaya Sanogo from their loan spells, in his time of desperation. I did not like Louis van Gaal at Manchester United as he was pathetic in his playing style, but yes credit needs to be given to the fact that he had the guts to start a youngster like Marcus Rashford. 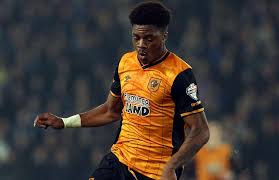 Wenger could have brought back a young Akpom from Hull City, but he didn't. Whether it was the Gunners' boss decision to stick with his players or his lack of confidence in the 20-year-old striker's ability, the answer is still not known. However, if Wenger does not think that he is ready to play for Arsenal at the moment, then it would mean that there is still quite some time before the attacker is all set to feature for us on a regular basis. This could only be a sign of things to come for the England U-20 and U-21 international, who might be sent out on loan multiple times before becoming an established player with the team. For me, Akpom impressed with his pace and trickery when he was given the chance to play for the first team and should have never been sent away or eventually recalled back when the need did arise. Further, talking about Sanogo. Well, let's not talk about Sanogo. The former French U-21 international was a highly rated player in his native country, though he has done nothing for us at all. In 11 league appearances, he has not scored a single goal for the first team. He has been at various clubs on loan as well already and has done nothing to show that he deserves more playing time at the Emirates. If anyone including Wenger thinks he will be a huge star for our team in the future, I think that person really needs a doctor!! Harsh words, but I totally believe them. Well, both Sanogo and Akpom will be returning to Arsenal for the upcoming season. Whether they would find a place in the first team is anyone's guess, to be honest. However knowing Wenger, it would not surprise me one iota if Giroud remains the first choice striker with Akpom and/or Sanogo as backups till Welbeck recovers from his latest injuries.